It’s easy for me to take reading for granted. I had successful and educated parents who read with me regularly, I went to good schools, and did not struggle with any learning disabilities. There are many in this country who are not as fortunate. 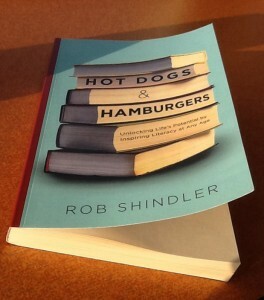 Hot Dogs & Hamburgers: Unlocking Life’s Potential by Inspiring Literacy at Any Age is the true story of Rob Shindler, a father who wanted to help his son Oliver learn how to read. Oliver struggled with reading deficiencies, and at first Rob didn’t know what to do. “I was never embarrassed by or because of Oliver. I was scared for him. Or maybe I was just scared for myself” (9). In order to learn how to help his son, Rob became a certified volunteer literacy tutor at the Literacy Center of Chicago and began teaching adults how to read. This revealed entirely new understandings of learning disabilities and adult illiteracy to Rob, and opened his eyes to what people like he (and myself!) so easily take for granted. “[Students at the Literacy Center] simply want to be able to enjoy the sports section in their daily newspaper. Read a menu. Fill out a job application. Understand the instructions on medicine bottles. Help their sons and daughters with their homework… Achieve the self-respect we all take for granted” (42). Hot Dogs & Hamburgers is a funny, sincere, and inspiring story that I thoroughly enjoyed and highly recommend. Rob’s honest and engaging style made me part of his journey to help Oliver, and brings the power of reading, teamwork and community outreach into sharp relief. “Turns out, whether sitting in a temple, a church, a diner, or a downtown classroom, we’re all here to teach each other something… We don’t often concern ourselves with social injustices unless and until we find them relevant inside our own world. We are obligated to help each other become better” (190-193). How has volunteering changed your life or perspective? 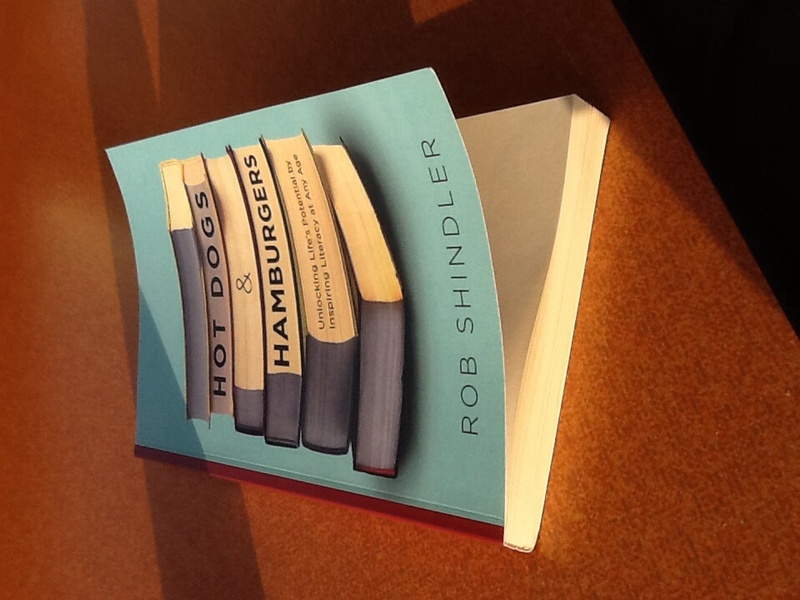 Buy a copy of Rob Shindler’s Hotdogs & Hamburgers here. Thank you again for your wonderful review, Mo. I wanted to briefly comment on how volunteering changed my life. In reality, it actually changed the way I live. I remember standing on stage at my Bar Mitzvah listening to the Rabbi announce to the congregation, “Today, Rob is a man.” Boy, was he off…by a little more than three decades! Because I don’t think I fully understood that title until I began tutoring adults to read. It revamped the way I look at everything. Most importantly, it revised the plan on how I would teach my kids to view success. Success is taking three trains and two buses after working an 8-hour shift to come to Literacy Chicago to learn to read. Today, I am a man!